Richmond is a hotbed for Futsal. Benefits of Futsal are well known: pressure in small spaces, lots of touches, lots of 1v1, basic movement and playing patterns, competitiveness, fun. In addition, the majority of Richmond United players come through the Richmond Futsal programs and love playing the sport. We embrace this Futsal culture by implementing a winter Futsal program for all age groups. 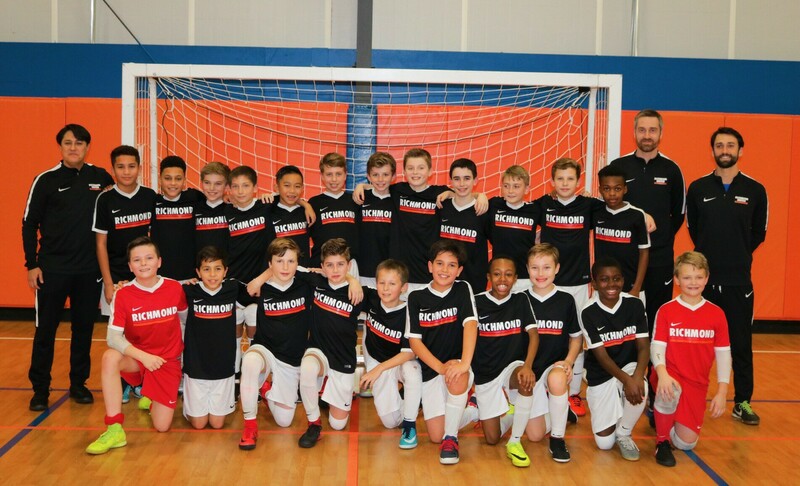 During December and January, our U12, U13 and U14 teams will have Futsal training sessions run by Richmond United head and Futsal licensed (USC National Futsal Diploma and US Youth Futsal National Level 3) coach Don Hughes. All of our teams (U12-U19) will participate in a weekly in-house Futsal league during the winter. In addition, we are creating opportunties to play scrimmages, festivals or tournaments against other DA Futsal programs.